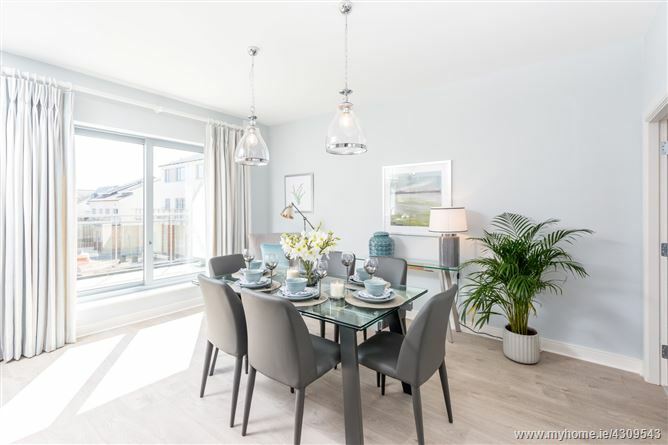 Waterside is a high quality residential development of new homes by Cannon Kirk Group on a very well located site off the Swords Road, Malahide, just 3 km west of Malahide Town Centre and 1.5 km east of Swords Main Street. The next phase of 27 new homes in the well-established and popular Waterside development is due for completion in early September. It comprises of a fine mix of large one, two and three bedroom homes with numerous design features, excellent living and bedroom accommodation, stylish kitchens and bathrooms. This exceptional quality development is ideal for a wide range of aspiring homebuyers including first time buyers and owner occupiers, families and those trading up or down and investors attracted by the strong rental demand from people working in Malahide, Swords, various businesses, industries and Dublin Airport. Malahide is a picturesque coastal suburb of Dublin; within easy reach of Dublin City Centre; 15 km distance, by rail, DART or road. It is renowned for its vibrant village with a fine selection of shops, boutiques, restaurants, also the harbour and marina and the numerous other sports and leisure facilities. Malahide essentially has three components that make it the special place that it is - the tree- lined village with its colourful shop fronts and hanging flower baskets; the seafront with a variety of boats docked in the Marina and Malahide Castle and its 260 acre gardens and playgrounds. It\'s no surprise the Malahide area is such a popular location for homebuyers when taking account of the character and amenities of the area and the superb coastal environment.